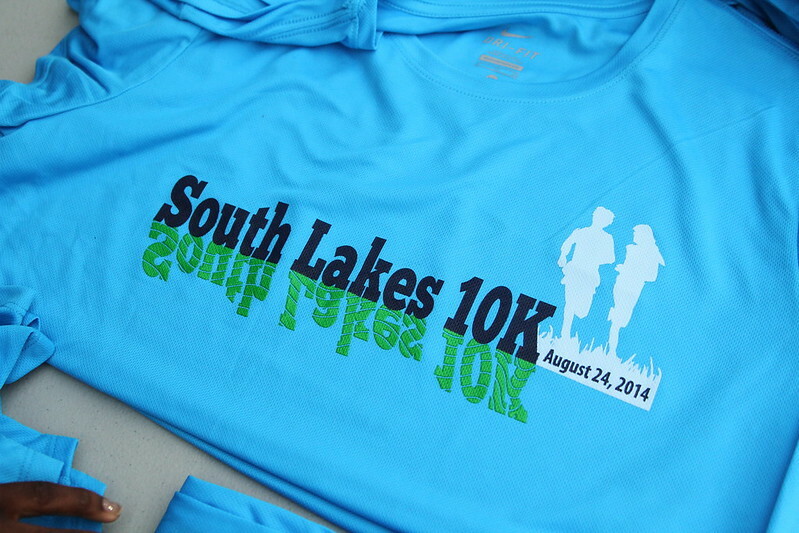 Yesterday I ran the Potomac River Running - South Lakes 10k for the second year in a row. Just like last year, the circumstances weren't totally ideal. Last year, Crescent and I stayed out late celebrating her birthday, so running the 10k the next morning was tough, to say the least! It was also super hot, compared to yesterday's beautiful 64 degree morning. (here's a photo of us with Leeanne after last year's race). This year, it was a different kind of tough. 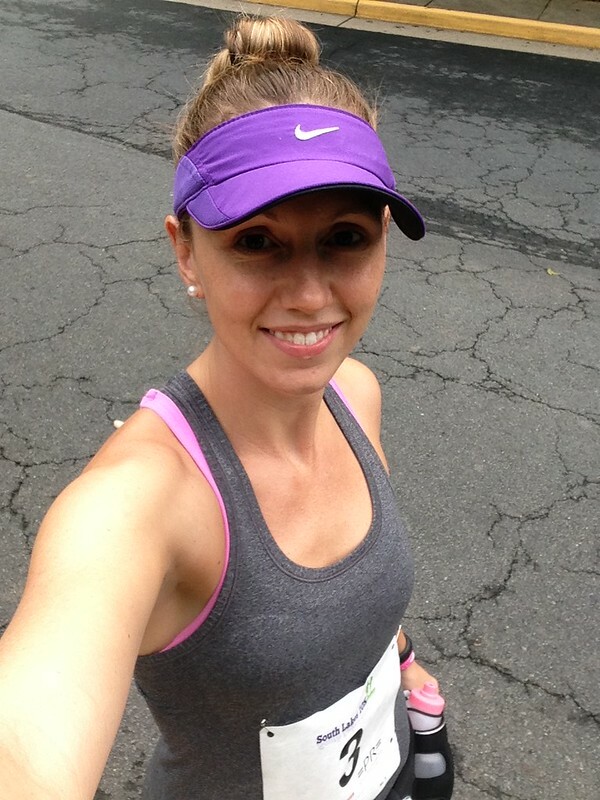 I had originally planned to run the 10k and follow it up with 8ish slow miles to complete my long run, but since none of the other girls could make the race (either because they didn't want to pay registration or they had plans the night before), we did our long run on Saturday morning. We did 12.2 miles, and while I'm usually strict with my rest before and after long runs and before races rule, I decided that building in some runs on "tired" legs might be just what I need to reach my fall goals. 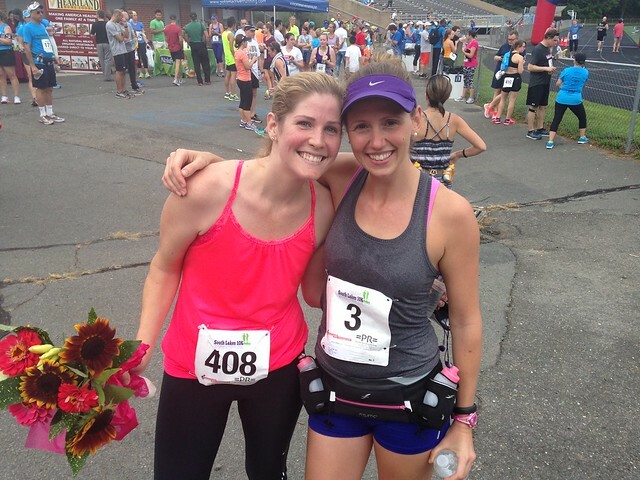 My race goals are in line with where I am as a runner, between intermediate-to-advanced, yet, I like to fall into my comfort zone with my girls and train like a beginner. It's just that I am very comfortable with long distance runs that don't push the pace, and quicker, but still not speedy shorter runs. 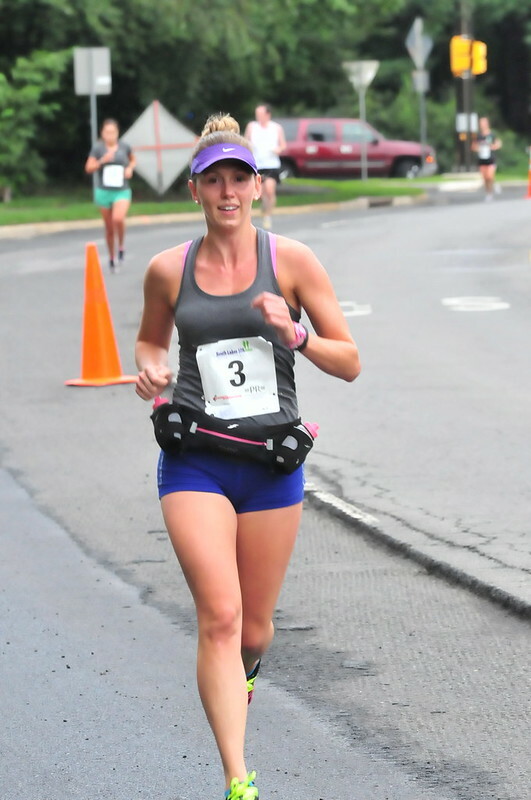 But while I won't let Lauren add speedwork (she wants to, but she's still within her first year of running and training for a marathon, and no first timers marathon plan would advise doing that), it might actually be good for me too add some speed sessions. Anyway, this race certainly served it's purpose of having me practice some "pace" running on very tired legs! Walking over to get my number, my ankles, feet, and calves were sore and crampy (I'm back in the pool, and I always cramp up when I haven't been swimming for a while). I was really worried I'd be looking at a 9:30/9:45 pace, like my weekday morning runs, for this race. I was able to shake my legs out with a walk with Penny, then I did a couple active stretches in the starting coral while talking with a very nice older man named Bruce. I started off the race a bit fast (but isn't that always the way I race?) and the mile markers were a little off from my GPS, but I was happy to be averaging around 8:00 minute miles by mile 3 (I think it was like a 7:30, an 8:30, and an 8, but who's counting! ), when I was at 24:07 by my watch. But it was right about that time in the race that people I hadn't been playing cat and mouse with started to pass me. 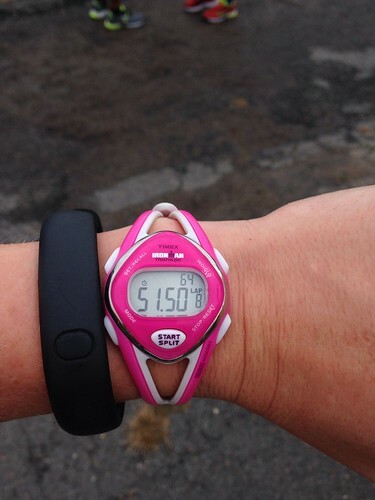 I tried to stick with them, but I could feel my my run pace slowing and I felt like I needed more walk breaks. My original plan was to do 2 minutes running, 30 seconds walking, but 2 minutes felt like forever on tired legs, so I tried to stick with 1 minute run, 30 seconds walking as much as I could. I also ran with the course, doing longer runs on the down hills and taking extra walks on the ups. Even though I was dying, the photographer got a great picture of me smiling right around mile 3! I try to look out for photographers at races that have free pictures. It's a silly thing to do, but everyone likes nice pictures of themselves doing something they love, right? Looking for a photographer is also something that distracts me from what my body is feeling during the race, so that helps too! I also usually have a song stuck in my head when I run. 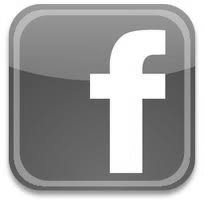 I find singing to myself, inside my own head, helps me with pacing and inspiration. This run's song was 'Chandelier' by Sia. When I crossed the finish line, I was a little disappointed that I wasn't a bit faster, thinking to myself that 51:50 (by my watch) was an 8:40 pace. So I was nicely surprised that it was an 8:20 pace. I was also surprised to find out that it was my fastest 10k since the MCM 10k in 2009! It's also just over what I paced in the first 10k of the Nike Women's Half this year, so not too shabby! 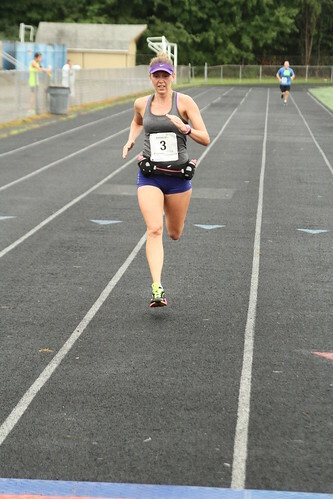 My kick at this race was my favorite part. 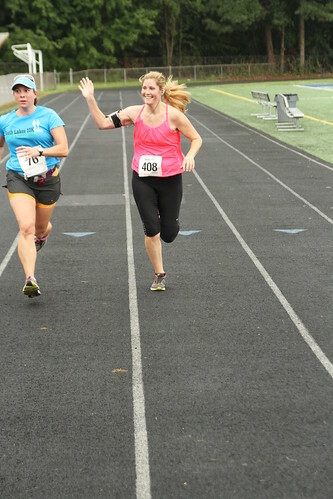 I love finishing a race on a track, and while I originally intended on trying to run the last 0.2 of a mile of the race, I had to walk part of the curve of the track. 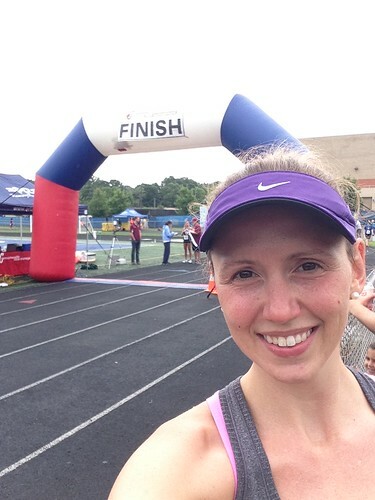 I made up for it by putting my head down, picking a lane on the track, and pumping my arms all the way to the finish. I flew by a guy who had been ahead of me for awhile, and a lot of people commented on my finishing kick. It's the sprinter in me, if only I had that much power over longer distances! I found Bruce again at the end of the race and found out that while I hadn't hit my goal of going 50.something (51:48 was close), he had made his of doing 43.something! I stuck around to see Crescent's finish. She rocked it! 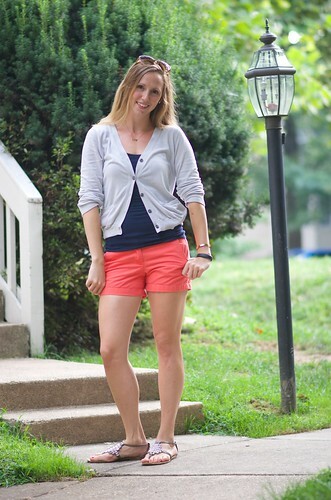 I was happy to find out that she's training for the Marine Corps Marathon too, so hopefully she'll come and join us for some long runs before the marathon. 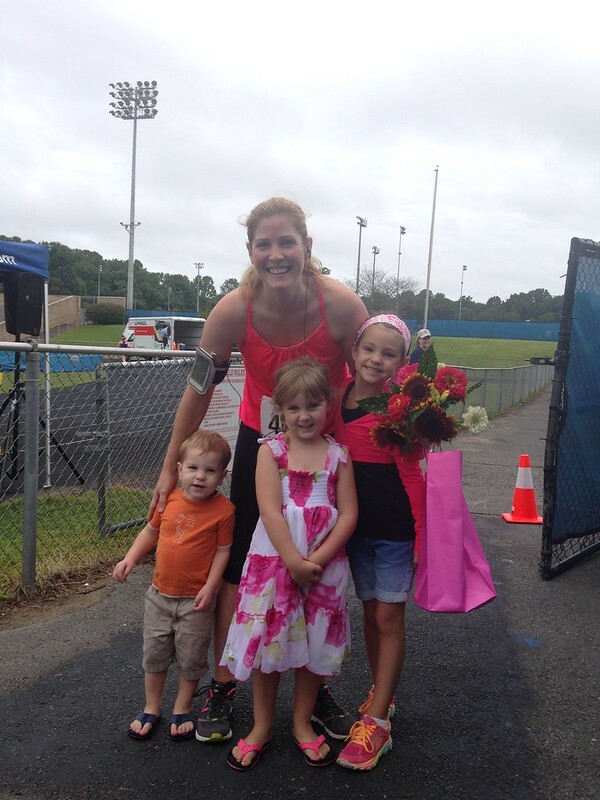 Her kids were just as cute as can be after the race, bringing her flowers and presents for her birthday! It was a really wonderful morning to race. Even though I was worried about being sore, tired, and... slow, it ended up being exactly what I needed!